As a fully licensed and insured company, we go the extra mile to provide the best quality service to our customers. We treat your possessions with care and make it a point to treat each home as if it is our own. Call us today to get your residential or commercial improvements started! Whether it’s your home that’s in desperate need of a fresh coat of paint, or your place of business, we can handle it. 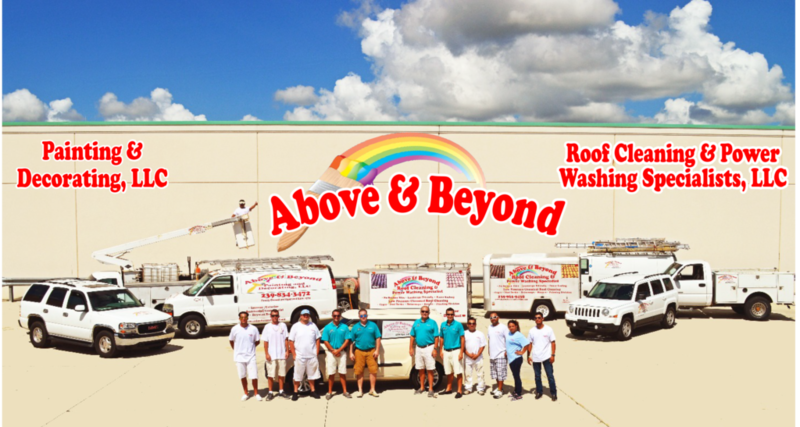 We do commercial and residential painting, waterproofing, wall coverings, drywall, and wallpaper (installation and removal), Soft Wash Roof Cleaning, Paver Sealing and much more! So whatever your painting and decorating needs may be, we’ve got them covered. We are your premier painting contractors in Naples, FL and surrounding areas. We’ll not only paint your house, but we’ll also keep it sparkling clean. We provide pressure cleaning as well as chemical roof cleaning that won’t leave any damages to your roof or house. We can guarantee there will be no walking damages while we carefully cover every inch of your roof. Pressure cleaning blasts away unsightly blemishes on your home while chemical cleaning can keep your roof spotless for up to ten years. Contact us today!